Maldives Weather in May: What is Average Weather in May? Maldives Weather in May, Maldives Average Weather in May details given here. 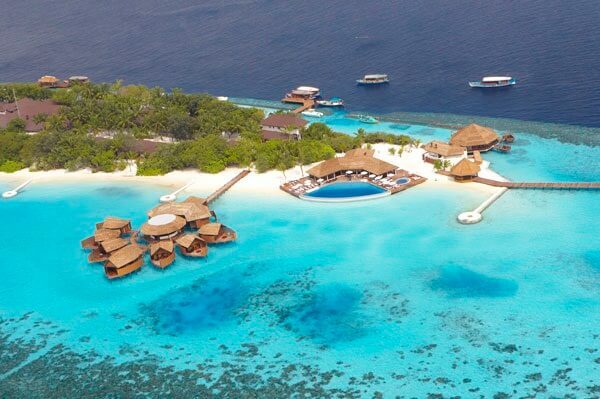 When you buy travel package for the Maldives, your main concern is weather. Is it really good time to visit this beautiful island country? Is it a good time to visit Maldives in May? What is weather like in May in the Maldives? These are the common questions asked by any traveller to this amazing country. 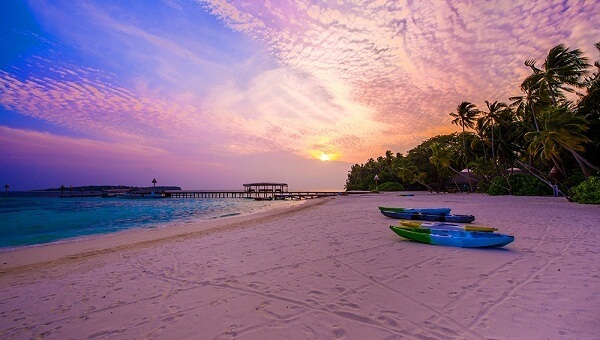 In this article, we have provided information about average weather in May in the Maldives. So, let’s see! 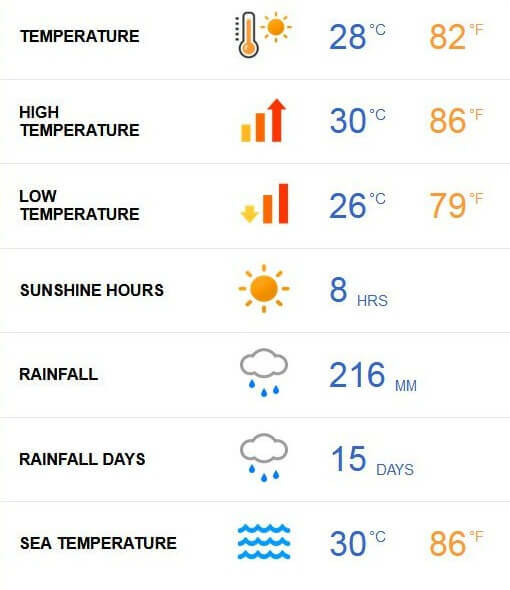 What is Average Weather in May in the Maldives? The month of May falls in the wet season and even you can expect a good rainy days. However, it’s a quite warm month. You can expect a skyrocket humidity. In this period of time, you can expect moisture and rain due to the southwestern monsoon. What’s High Temperature and Low Temperature in Maldives in May? In this month, you can expect 28 degrees Celsius average temperature in daytime. It’s a very wonderful and welcoming environment. At midday, the temperature may rise up to 30 degree mark. In night time, the temperature may fall around 26 degrees Celsius. It’s still a good and wonderful time to enjoy! It’s a good time to enjoy various water sports activities. During this period of time, the sea maintains its April standards i.e. 30 degrees Celsuis. It is one of the best time to enjoy sunshine in the Maldives. During the month of May, you can enjoy about 8 hours of sunshine in this island country. However, you may see the sky covered with clouds that frequently rain upon the archipelago. 216mm is the monthly total precipitation for May month, a standard number even for tropical countries around the world. It’s predicted rain for about half of the month. You can expect some form of rain over the atolls. Article Title: Maldives Weather in May: What is Average Weather in May in the Maldives? Article first published on April 11, 2019. Well after reading this article i got suitable information well this is Domnick here and i’m traveller and while reading you blog i got more inspiration about my travelling journey. I’m the owner of domnick.in and my friend he told me about your blog so after i came here to get some valuable knowledge about journey of travelling and tips etc. Thanks for serving such a wonderfull content about travelling and exploring. All the very best for your future goals.